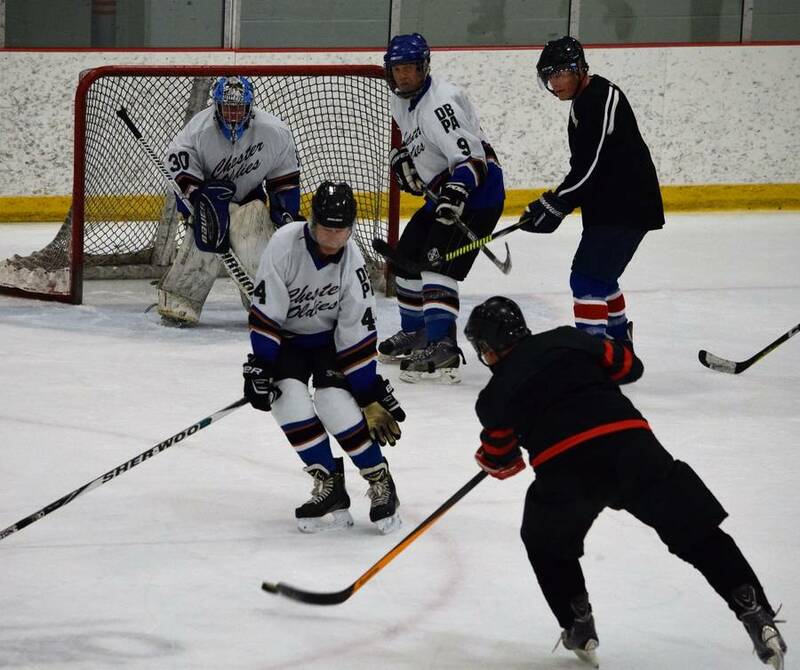 Although the speed of the game may be a bit slower and the recovery time a little longer, the competitiveness shown at the first Gary MacNeil Memorial 60-plus hockey tournament is still high. "Anybody that has played any amount of sports. They just have that competitive instinct and you can't take that out of people. It's just there," said Victor Whynot, player with Bridgewater and one of the organizers. "It's a lot of fun. And once you hit the ice you think you're young again, but unfortunately, it doesn't work that way." Three teams from Bridgewater, Lunenburg and Chester have been competing in Bridgewater since April 1st in a 10-day tournament, named after long-time hockey enthusiast, Gary MacNeil. Whynot said that MacNeil, who died July 2018, was a very community-minded person and a dedicated hockey player. Organizers thought that he would be a good one to name the tournament after. "I went to school with Gary, he was a little younger than me," he said. "He was a great sportsman, great competitor and just an all-around good guy. He played with us as well. He was always there and played hard every time he came out on the ice." MacNeil was born and raised in Bridgewater. He left the province and headed out west in the 1980s to start work as a rigger, but his hard work paid off and became the president and CEO of an international oil supply and fabrication company, according to his obituary. In the early 2000s, he returned to Bridgewater and pursued an opportunity to become mayor, losing out to David Walker by just a few votes. He was a strong supporter and involved in the Bridgewater High School hockey alumni program, Bridgewater Elementary playground, South Shore Exhibition ox pull and numerous other hockey tournaments. He was a 42-year member of the Royal Canadian Legion and just prior to his death became the owner of Greek's Quality Meats. The tournament began April 1 with Bridgewater defeating Chester. Game 2 was played Wednesday with the host team defeating Lunenburg. The two wins gave Bridgewater a pass into the championship final April 10. Lunenburg and Chester played April 5 in the final game of the round robin and the two teams were scheduled to meet again April 8 in the semifinals. The championship game is scheduled for 1:15 p.m. April 10.